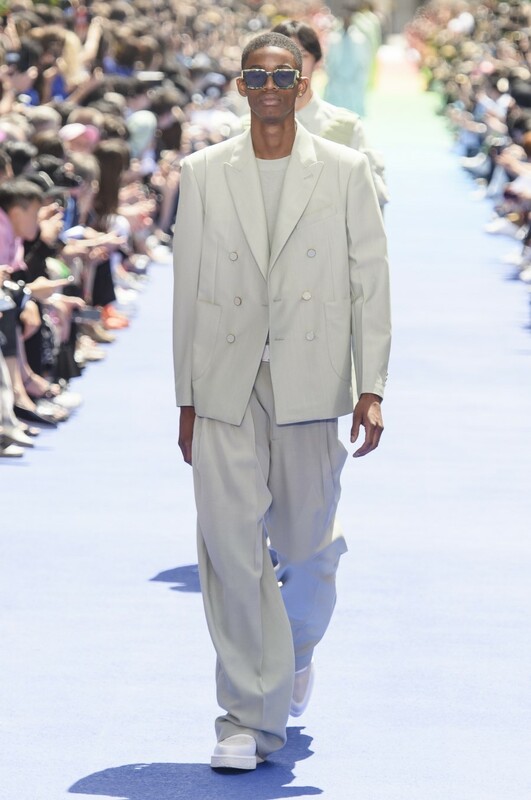 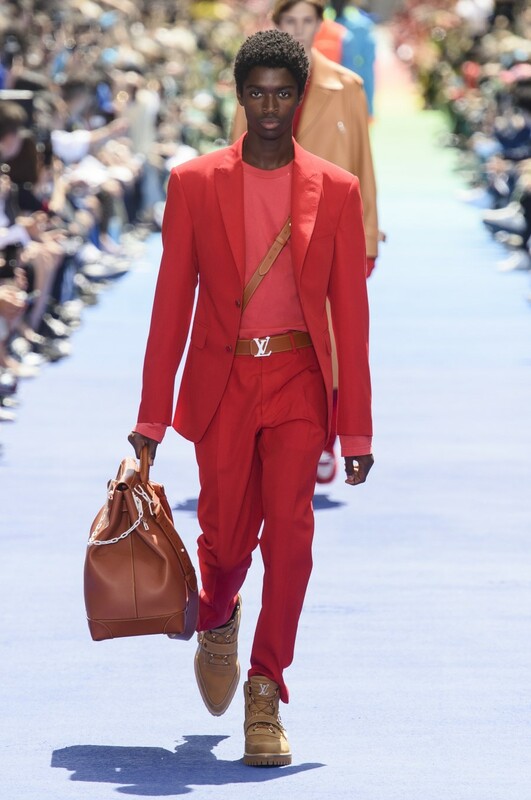 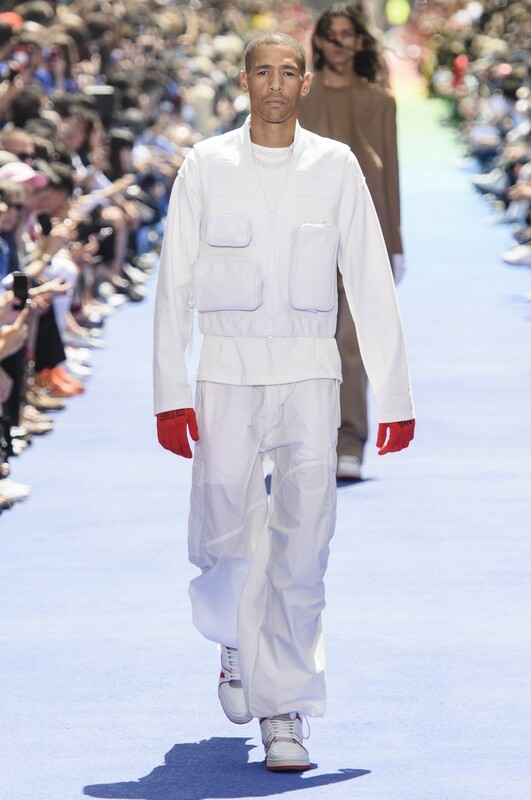 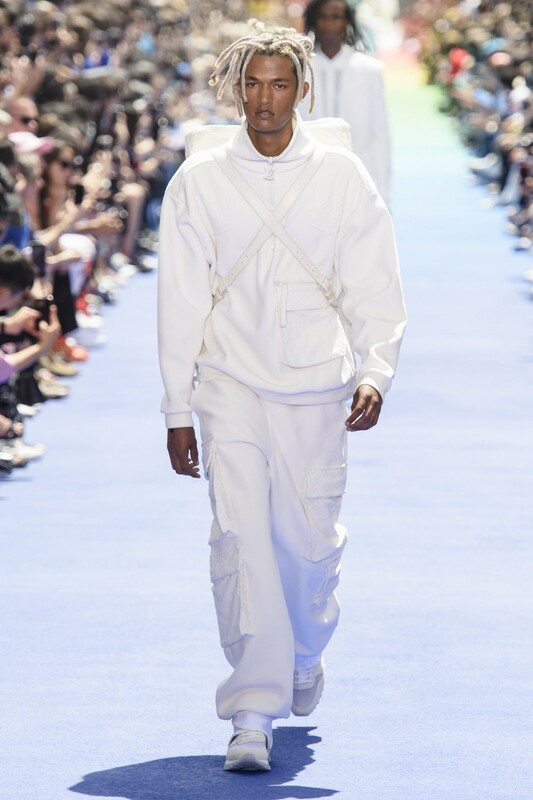 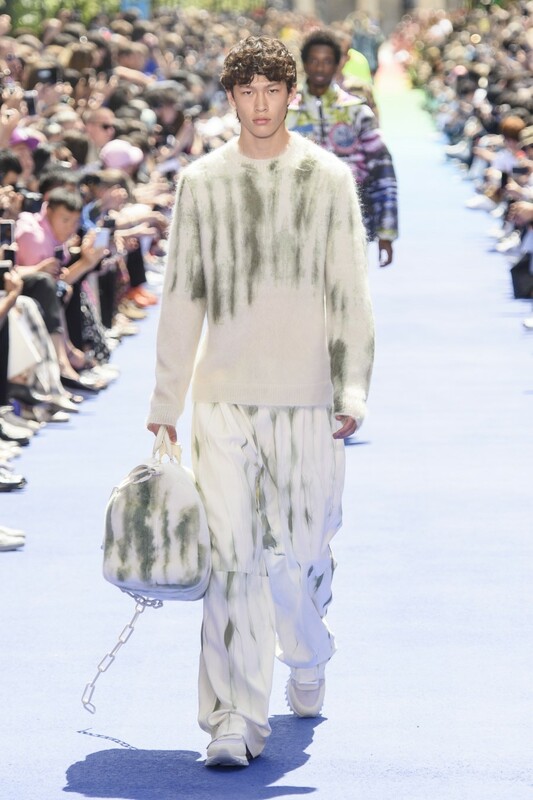 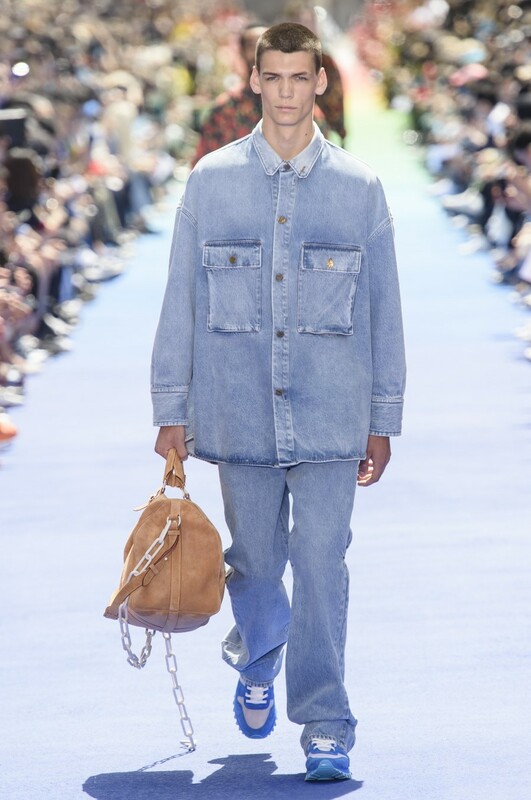 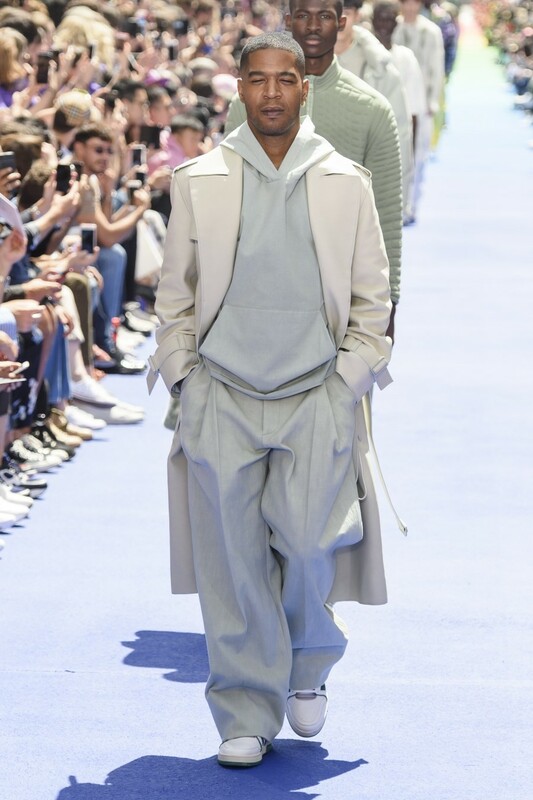 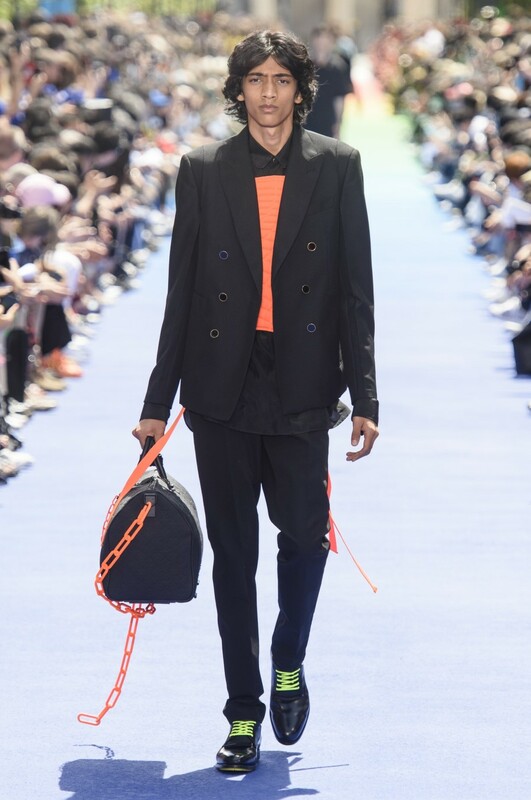 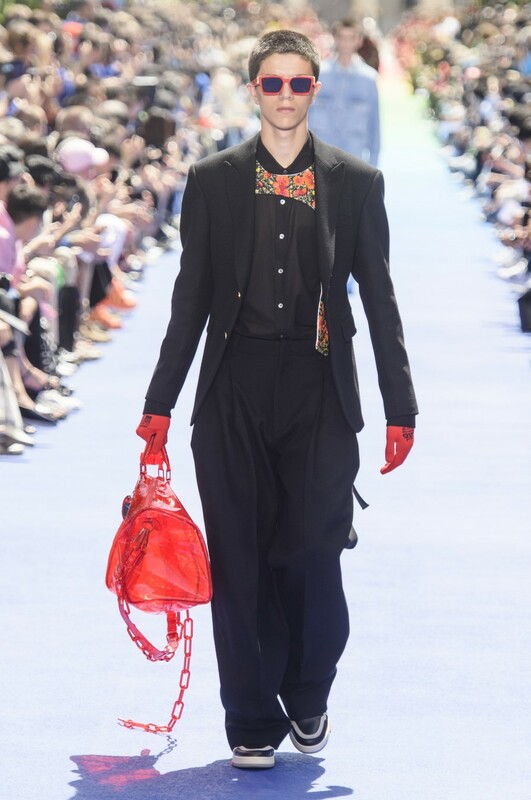 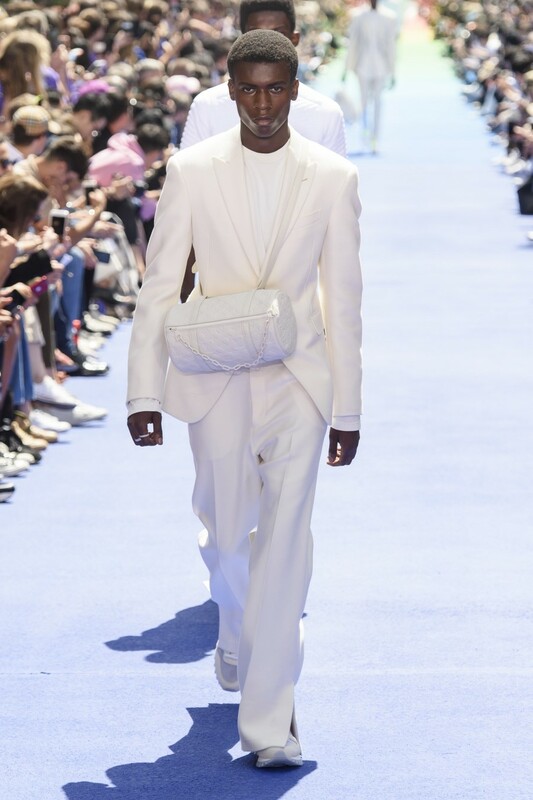 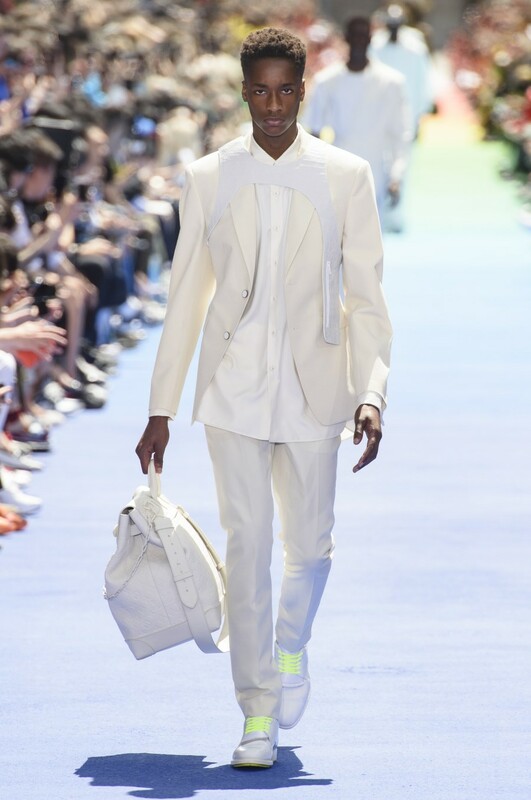 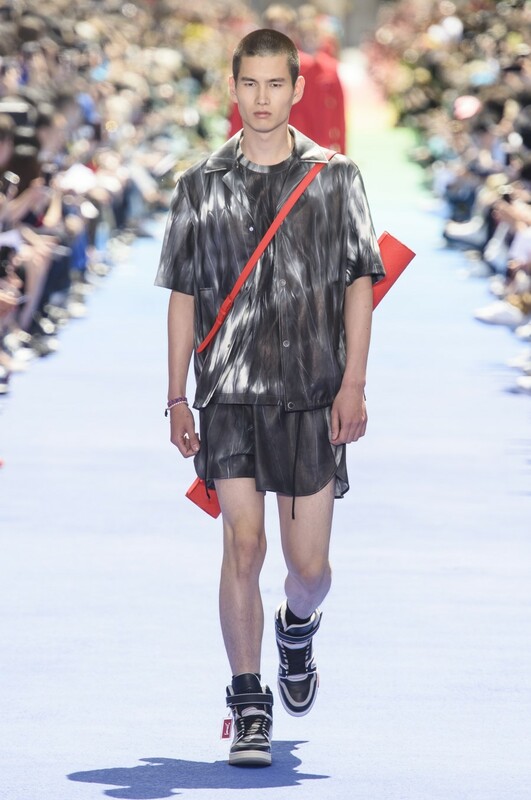 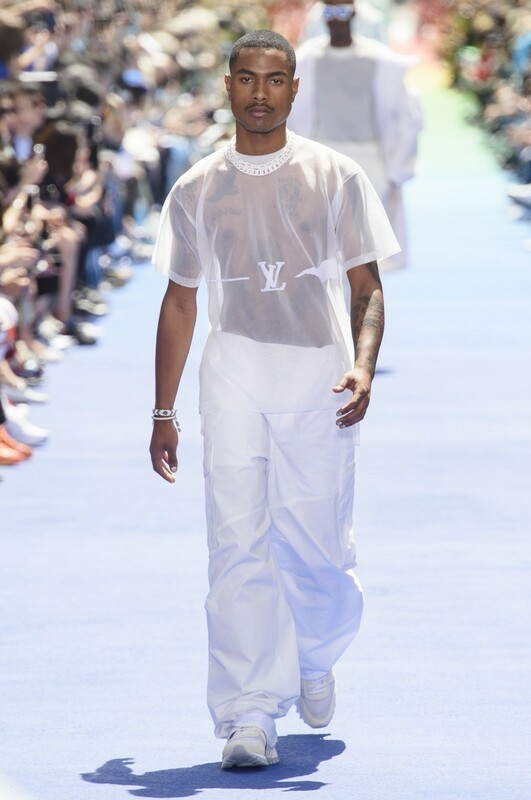 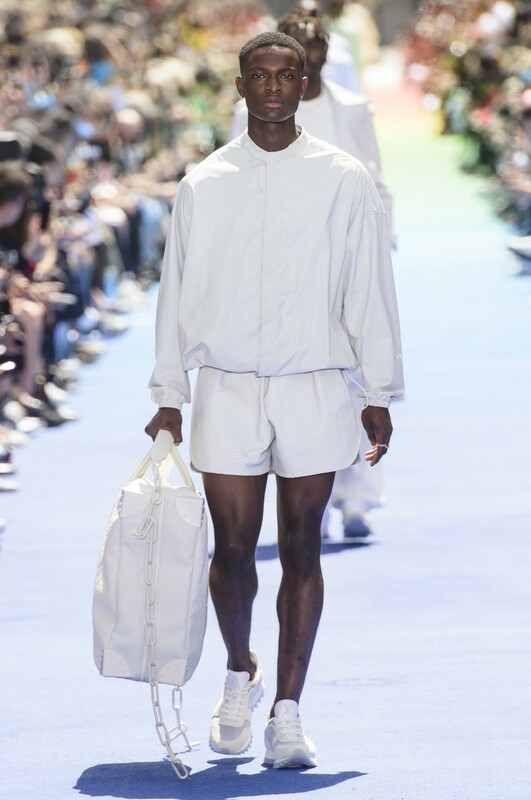 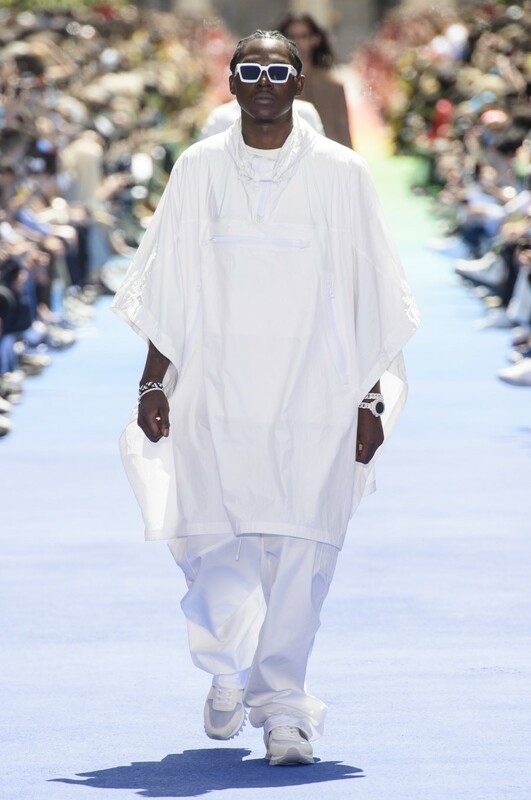 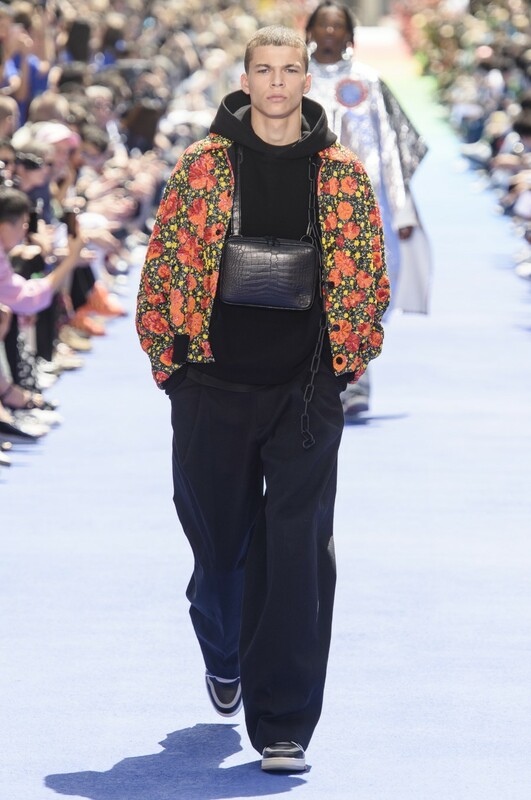 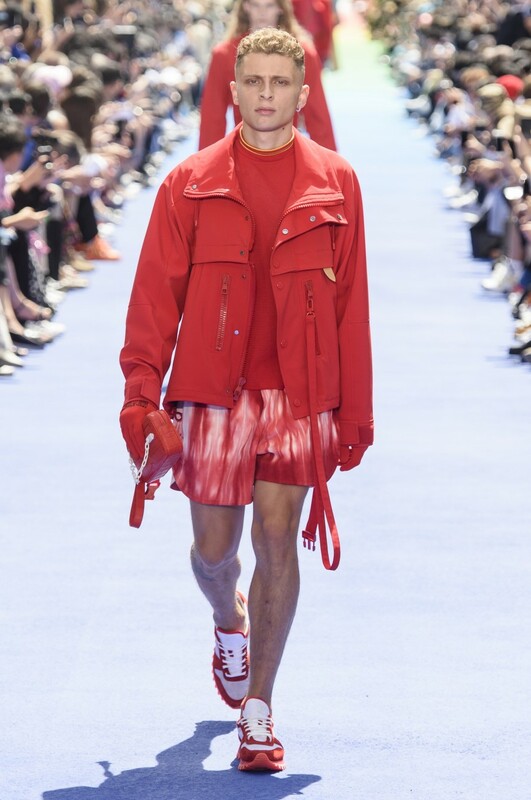 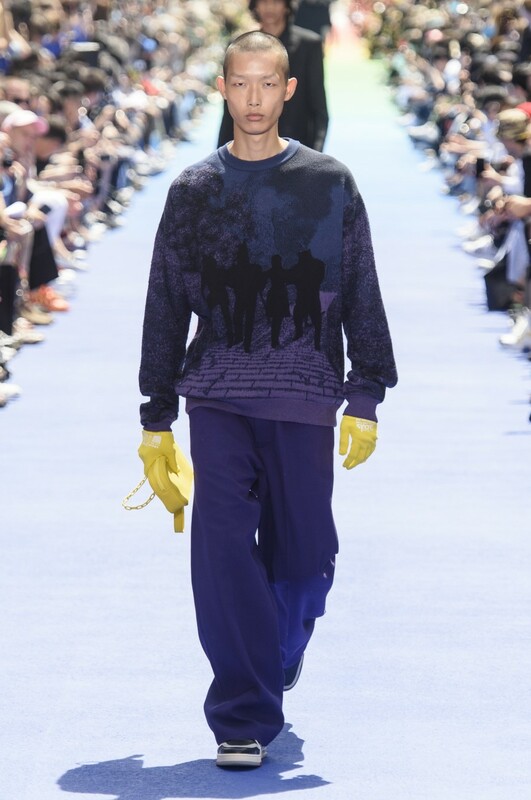 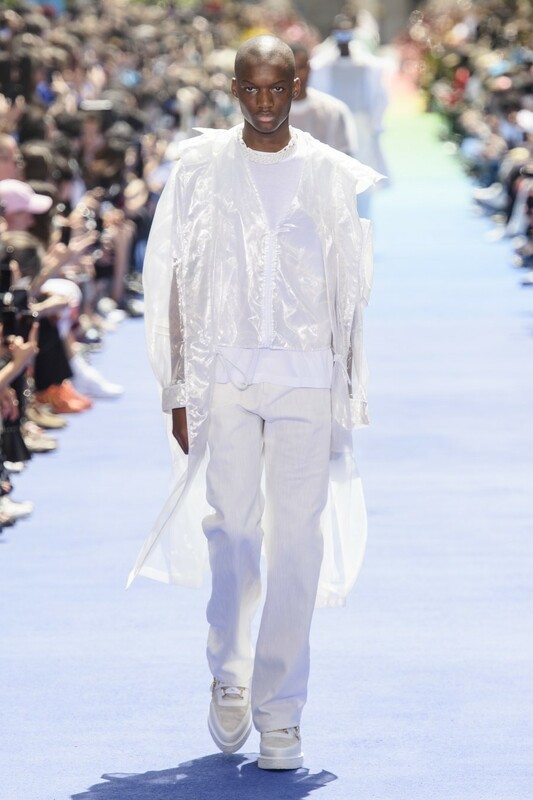 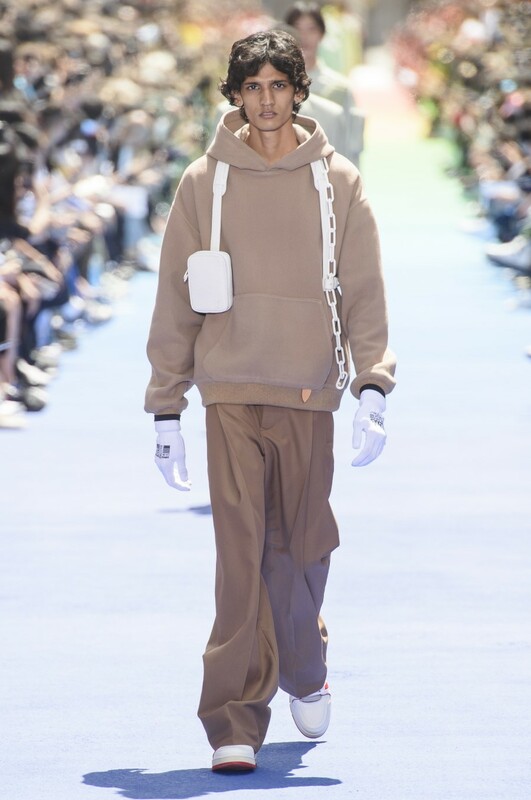 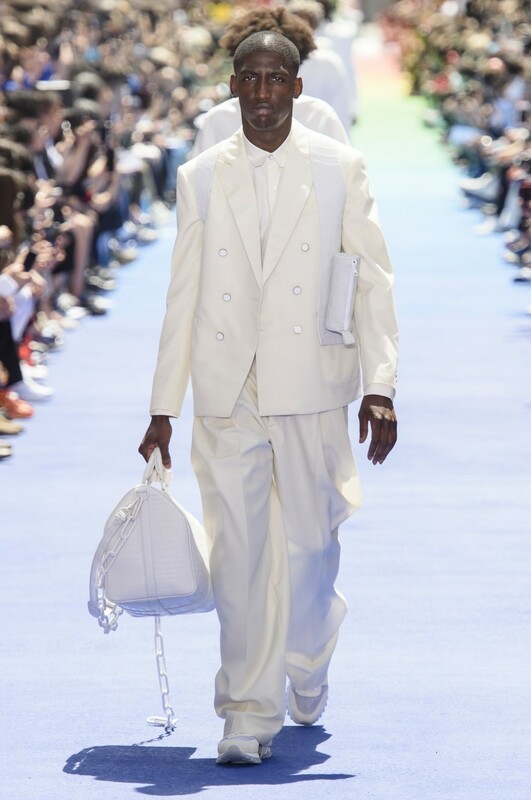 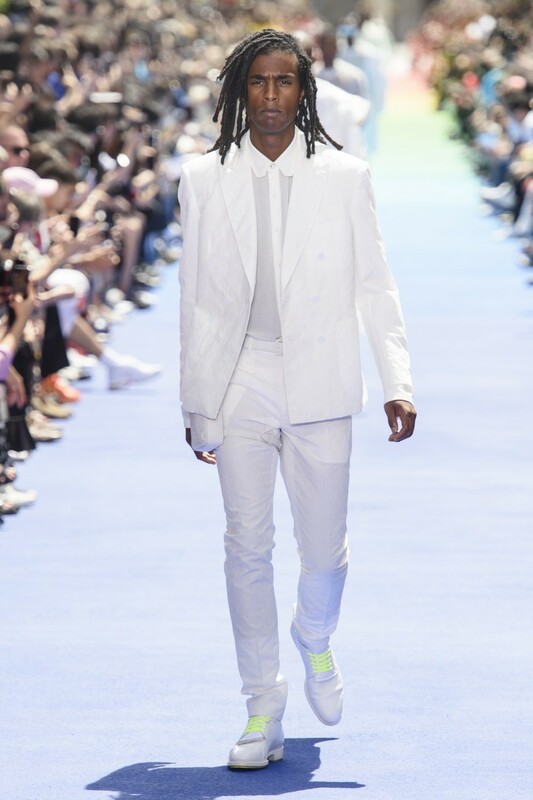 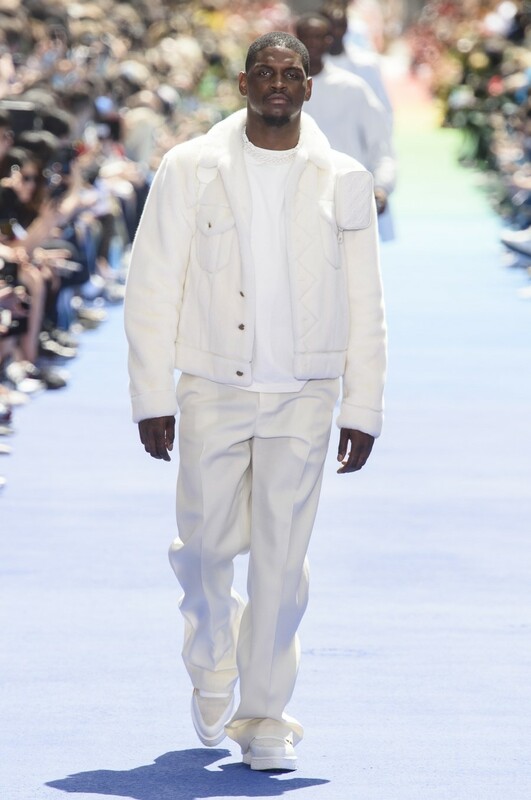 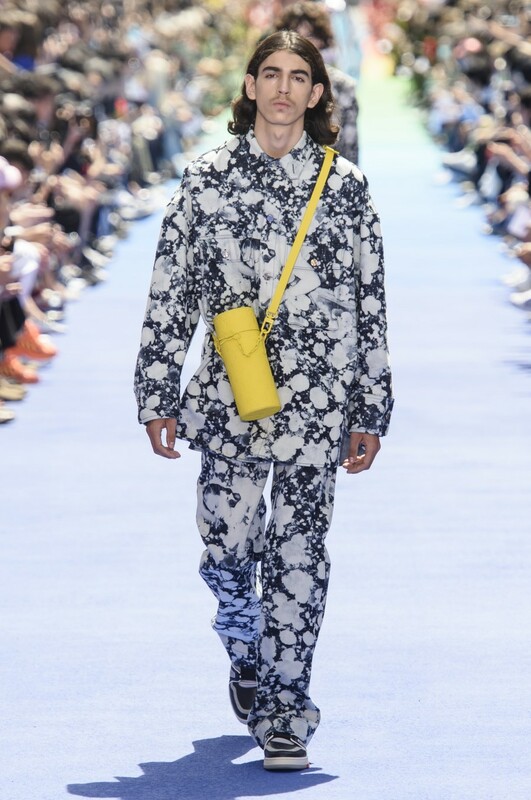 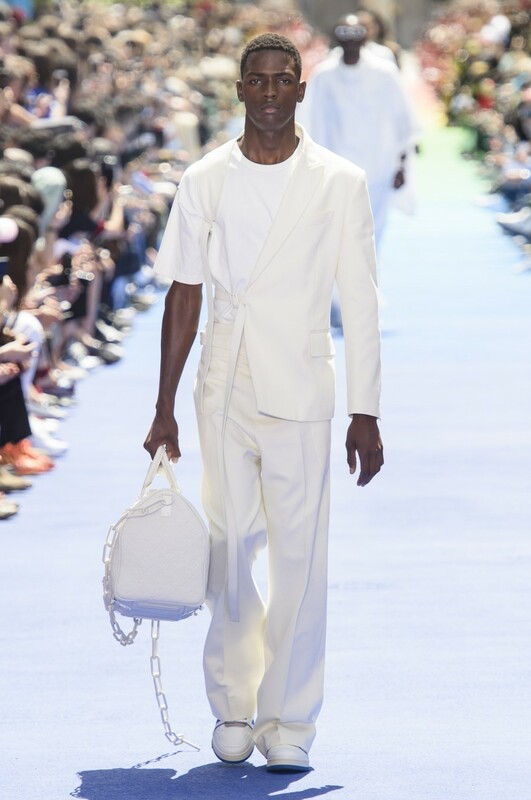 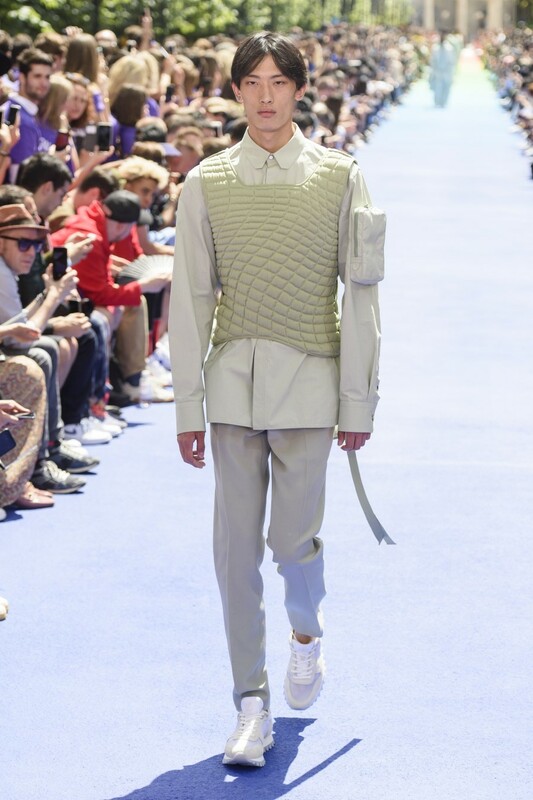 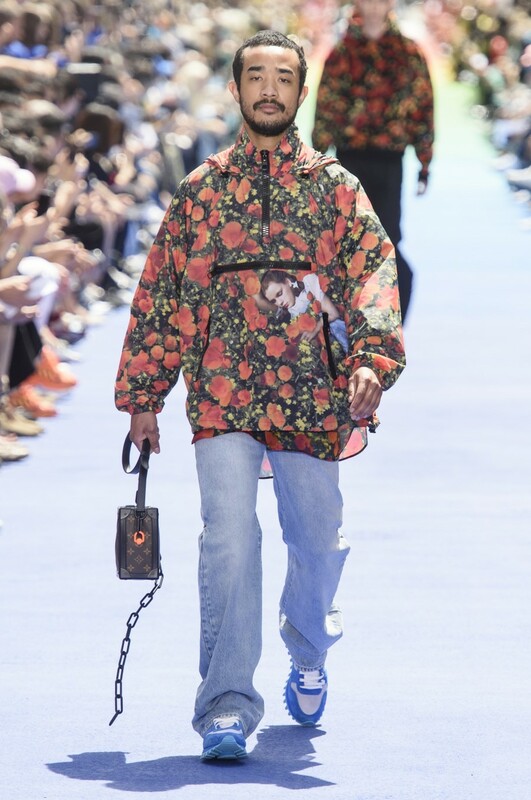 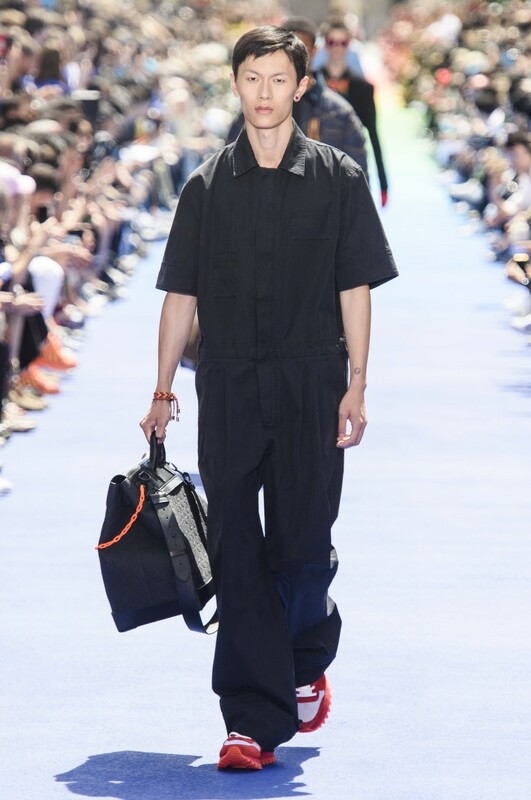 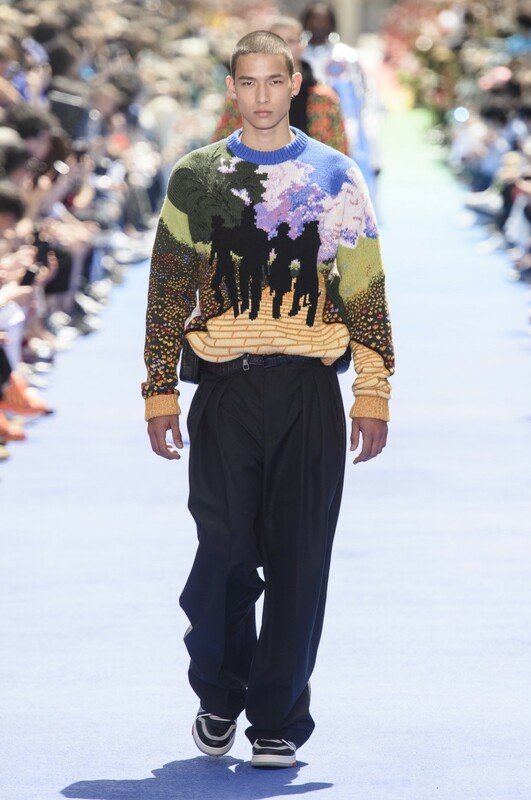 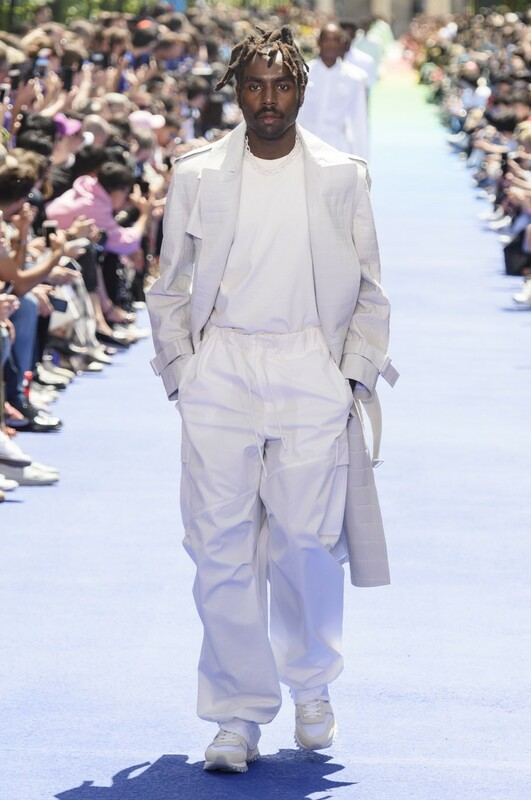 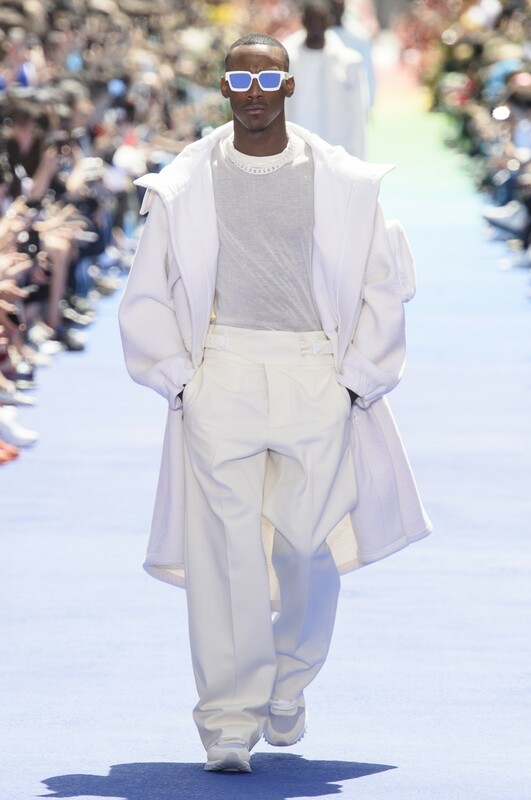 Virgil Abloh made his grand debut collection for the French legacy house Louis Vuitton at the Spring/Summer 2019 menswear iteration of Paris Fashion Week. 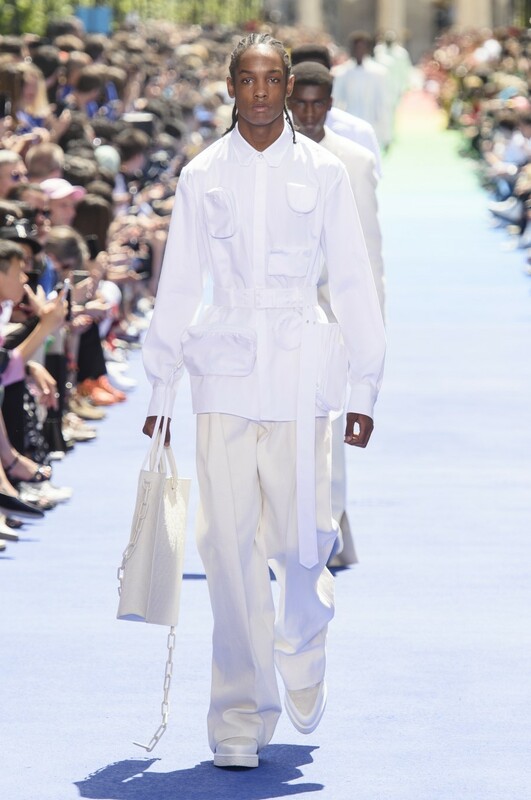 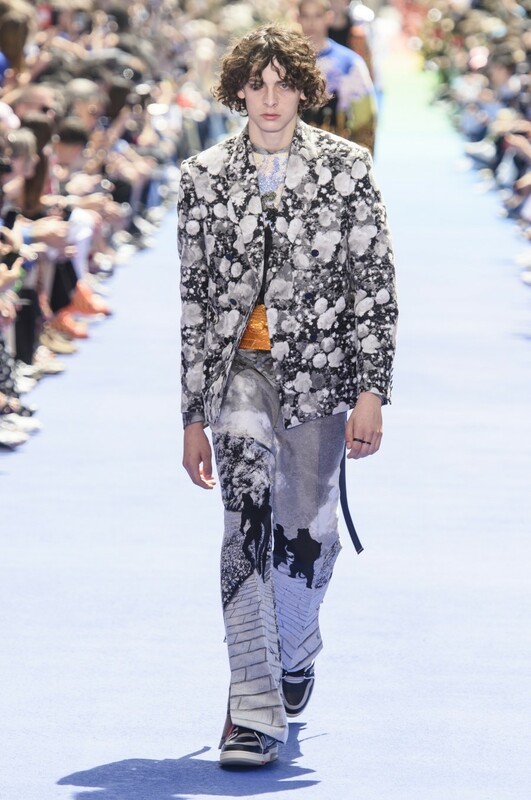 Held at the Jardin du Palais-Royal, the 56-look collection was shown on a 650-foot-long rainbow catwalk and they themselves signaled the dawning of a new era. 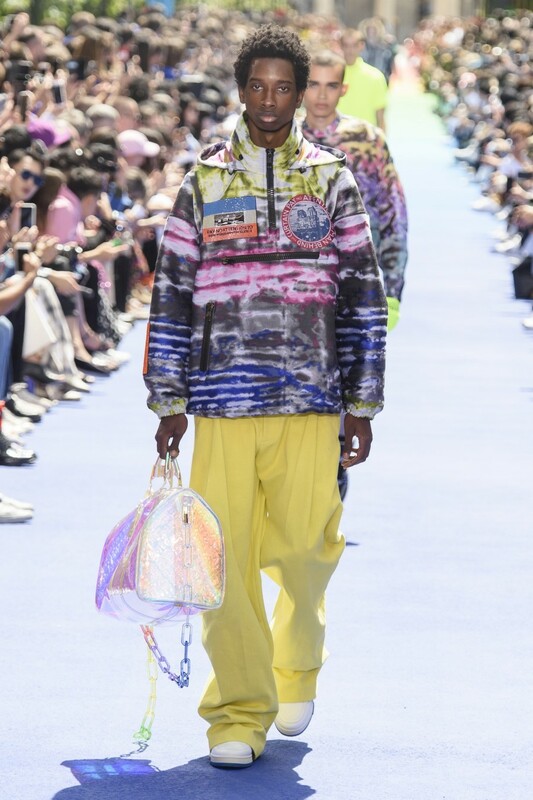 Neither pure streetwear, nor straightforward luxury, they sat somewhere in between. 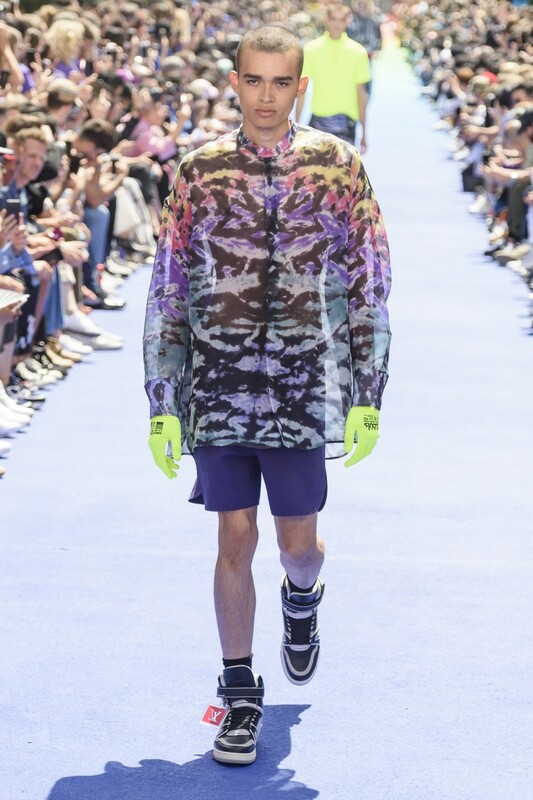 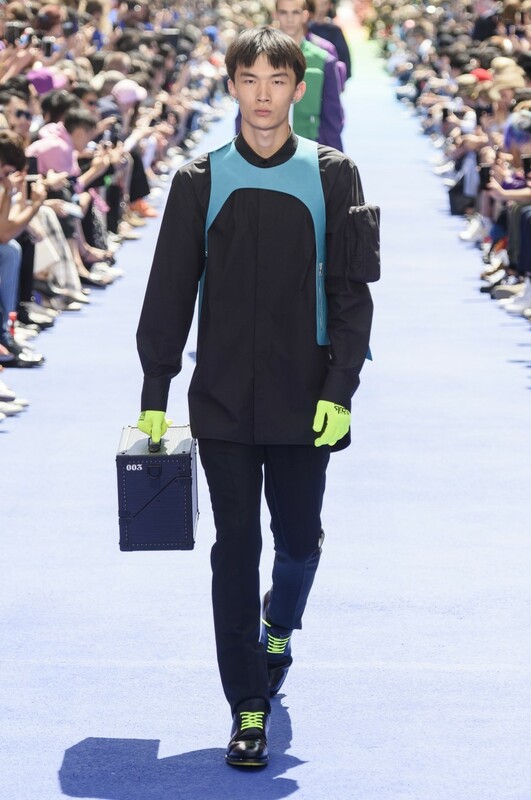 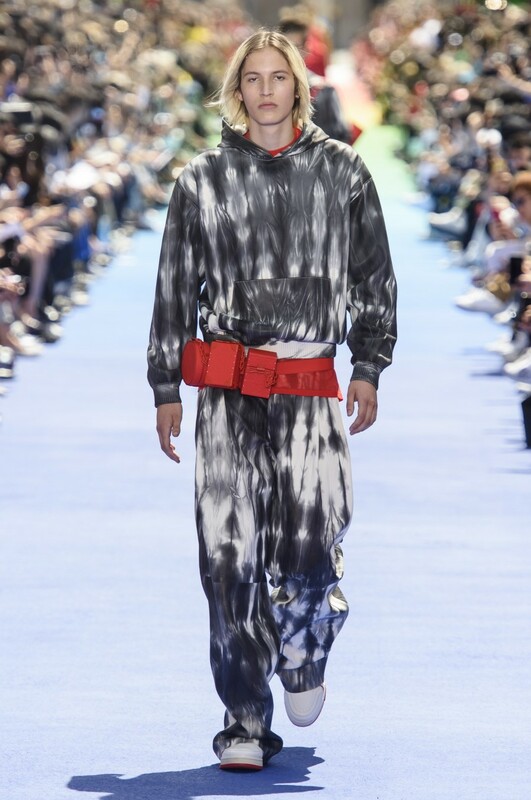 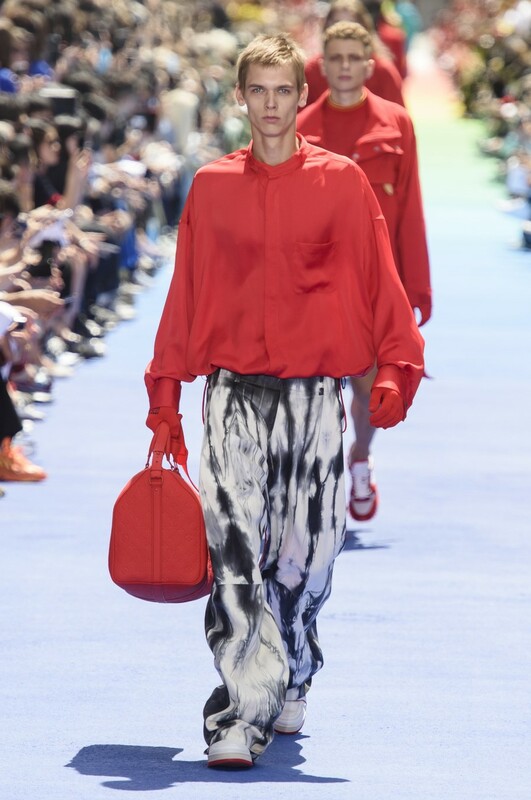 Flanking the runway were 700 design school students, dressed in T-shirts color coordinated with the gradient runway, reflecting Abloh’s commitment to opening luxury to a new generation. 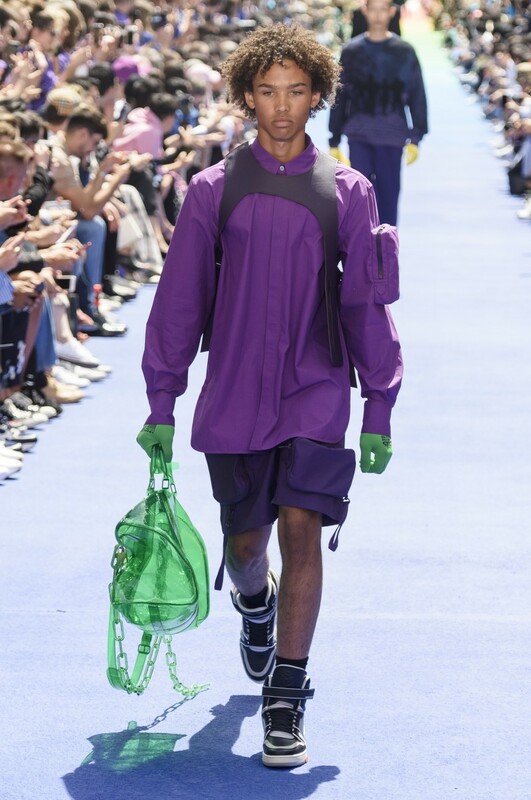 Tie-dyed and floral, Wizard of Oz-themed pieces (which turned out to be a collaboration with Warner Bros. to celebrate the iconic film’s 80th anniversary) made up the collection’s graphic scope, which were noticeably kept at a minimum. 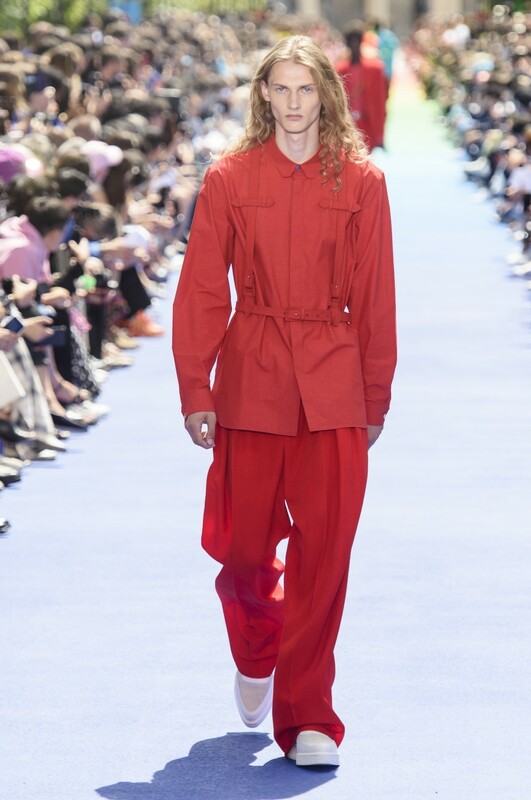 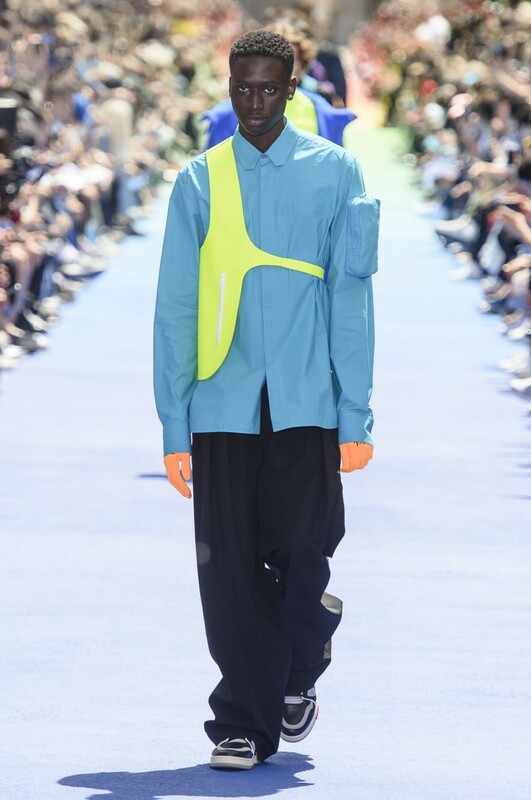 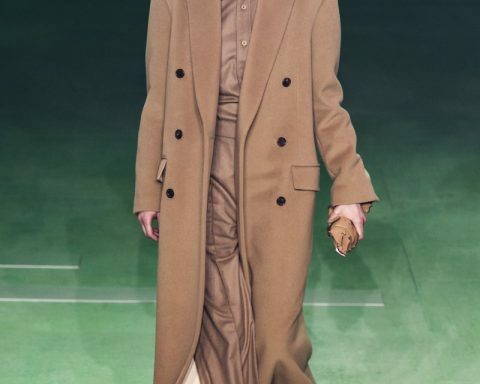 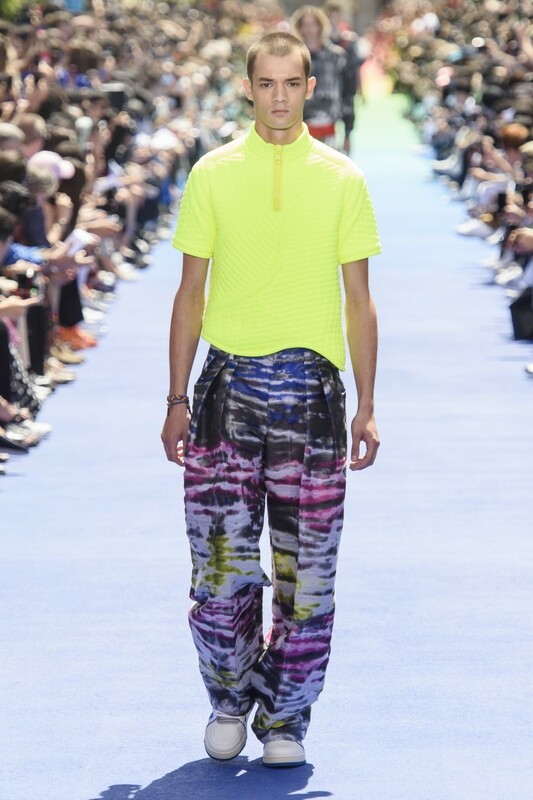 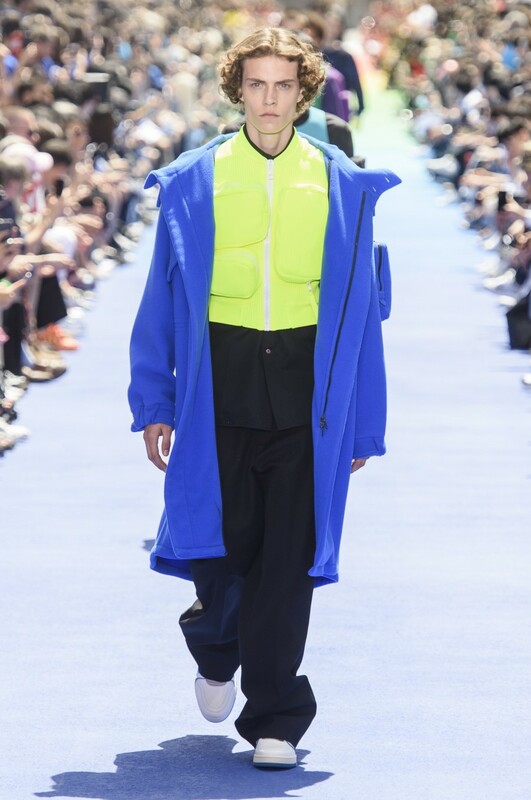 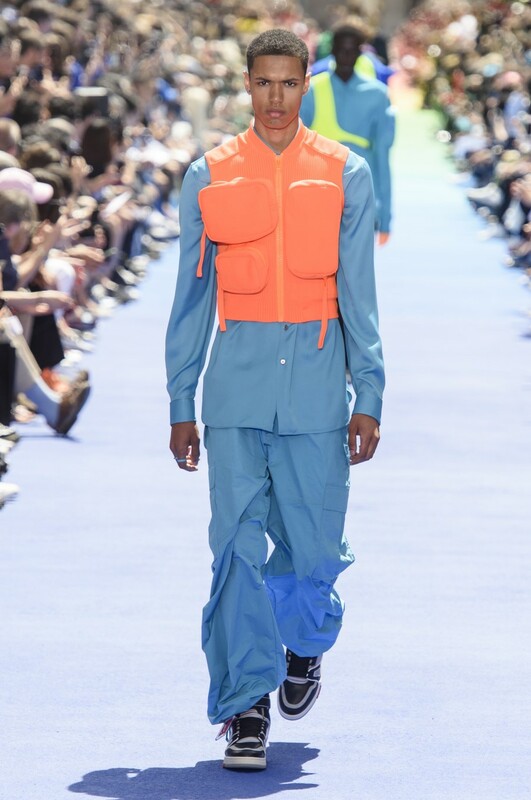 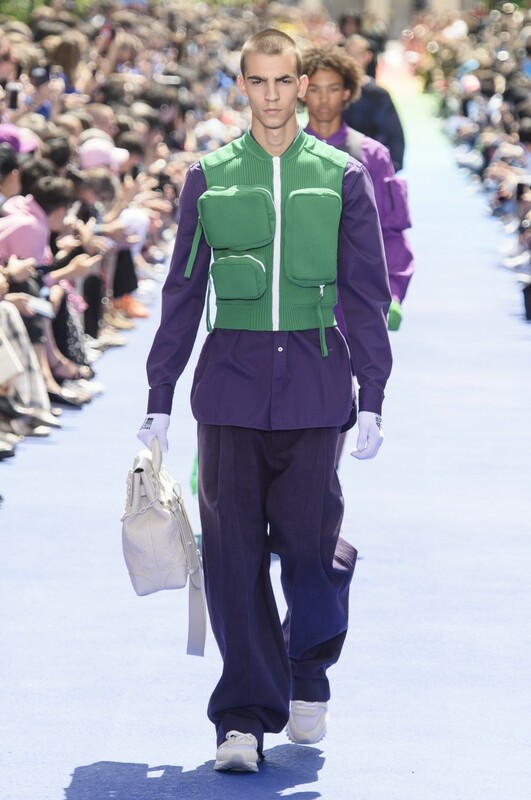 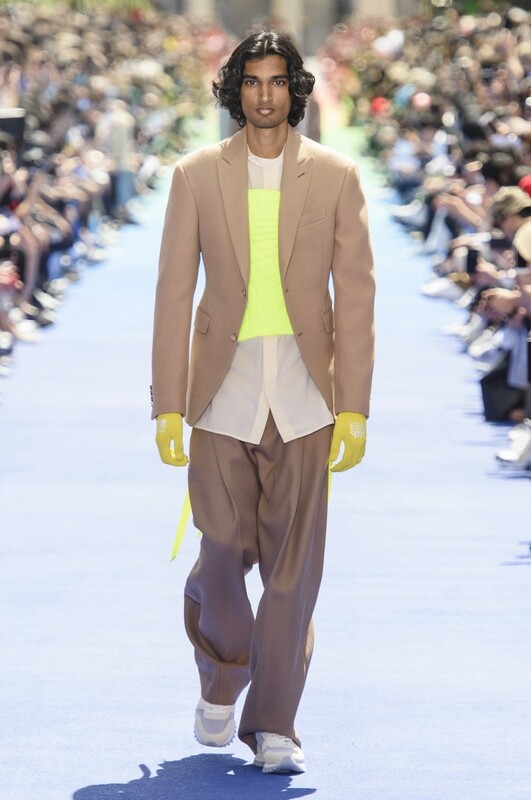 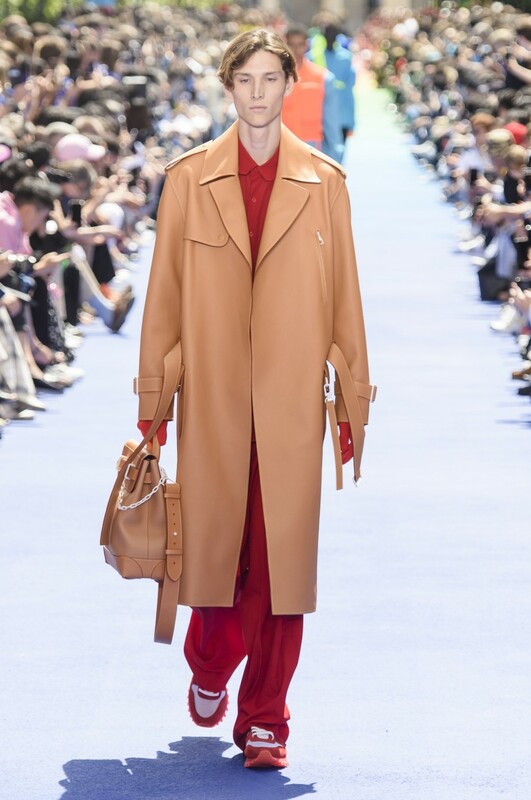 Elsewhere, loose-fitted trousers, utility vests, sheer shirting, hoodies and tailored trench coats were funneled through a gradient of color-blocking. 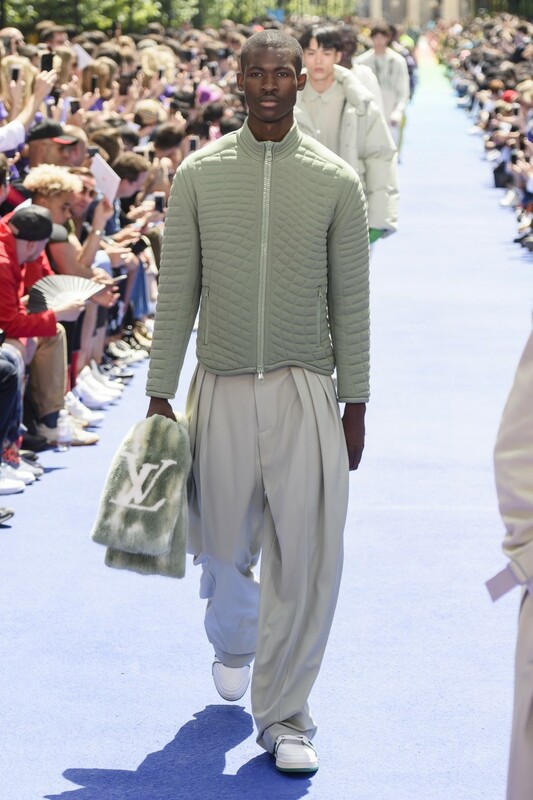 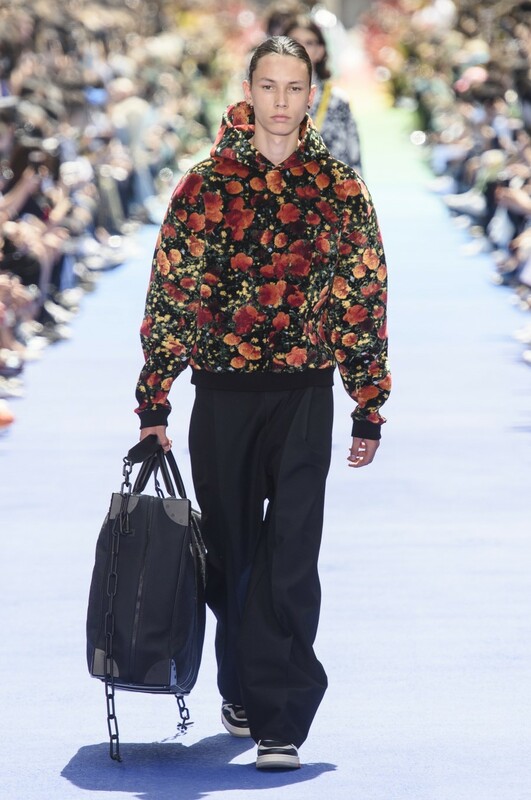 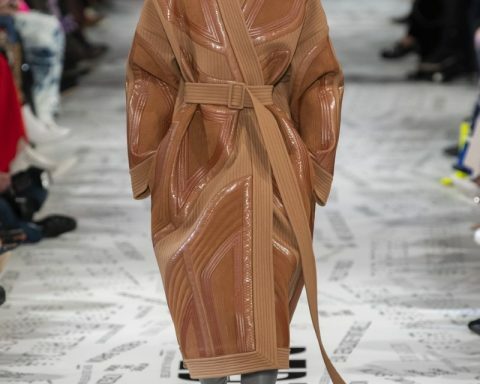 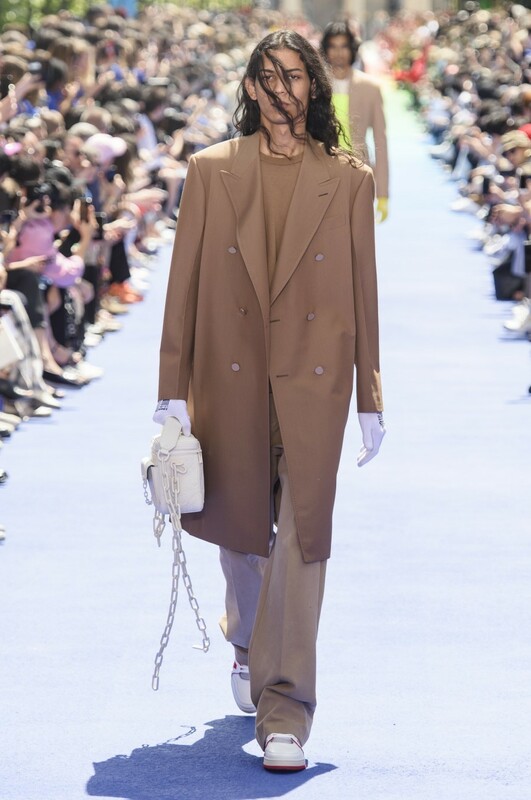 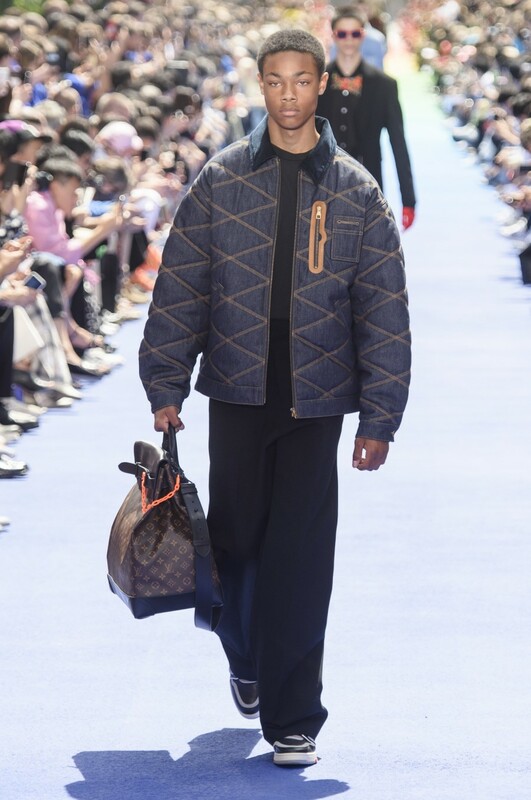 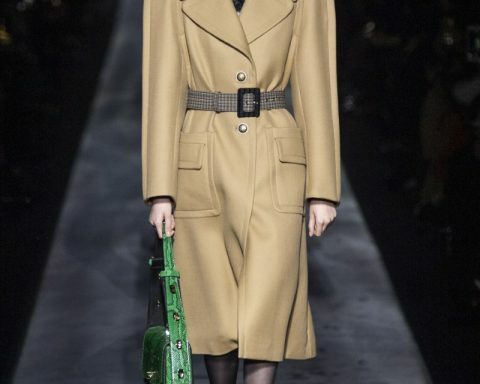 The key takeaway of the show was a casual silhouette that felt fresh for both Abloh and Vuitton. 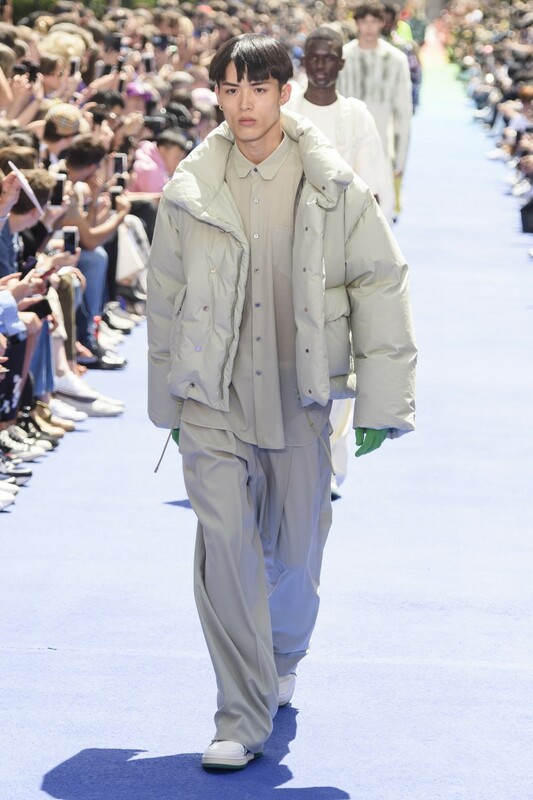 ‘’It’s not oversize. 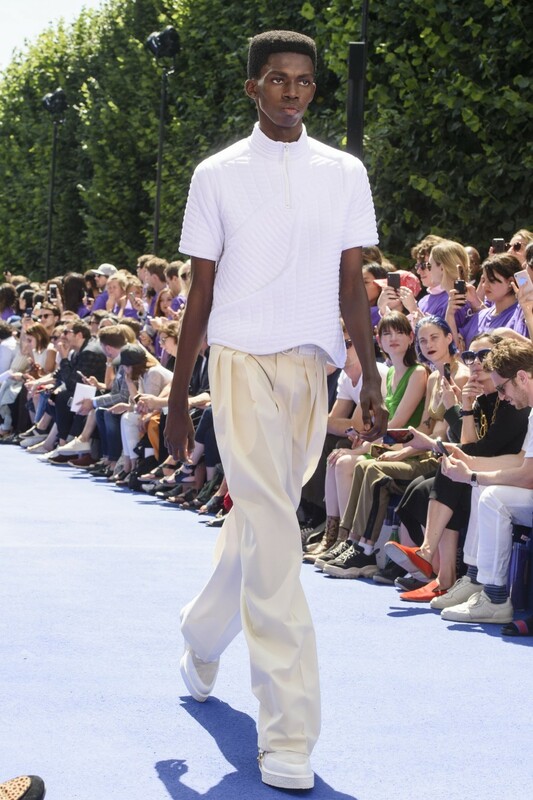 There’s volume in the pant, it’s very relaxed, very casual, very chic. 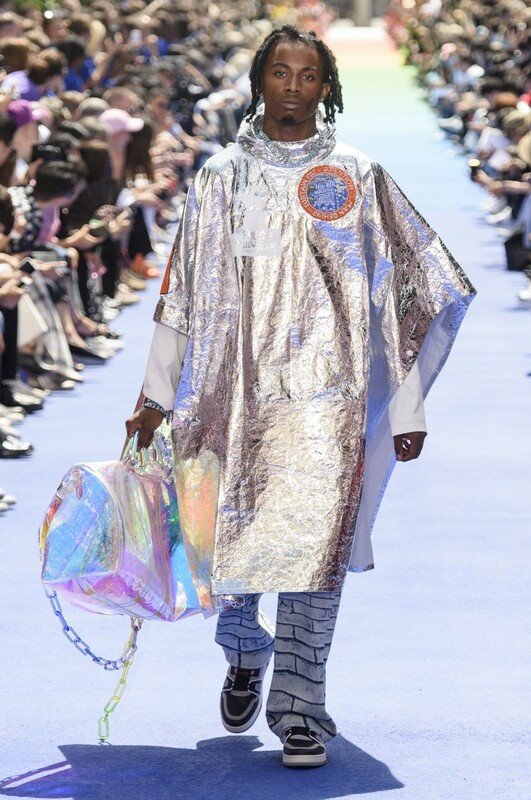 Those are the things that I believe in. 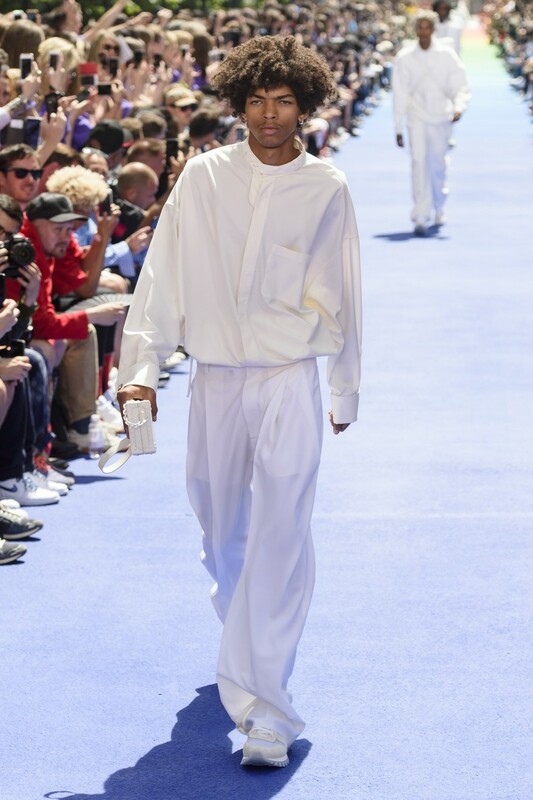 That’s my personal aesthetic. 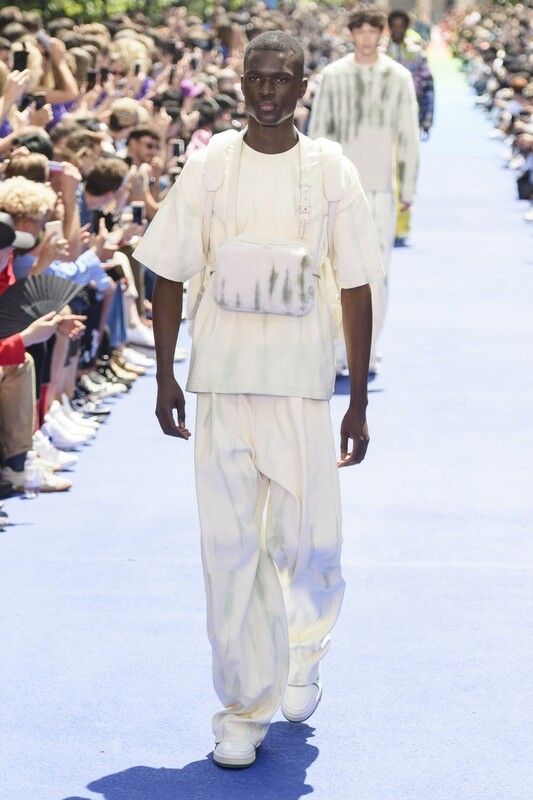 This is me having a conversation with luxury’’, explained Abloh.